Many people think that we don't have seasons in South Florida. That's just not true. We have three whole seasons: hot, hotter, and hotter than Hell. And they translate to this: winter is hot, spring and fall are hotter, and summer is hotter than Hell. All that notwithstanding, the water in my pool, for some reason unknown to science or common sense, will NOT heat up until the middle of hotter than Hell, and cools down before the Hotter Equinox arrives in mid-September. For that reason, swimming is kept down to a minimum around here... And yes, I know a number of you in colder climates are laughing and thinking that we're wuses... which we are. But, live here for a couple of years like some of my Northeastern transplant friends and you too will not get into the pool or the ocean unless it feels like bathwater. Winslow Dog, originally from New Jersey, is such a permanent snow bird. 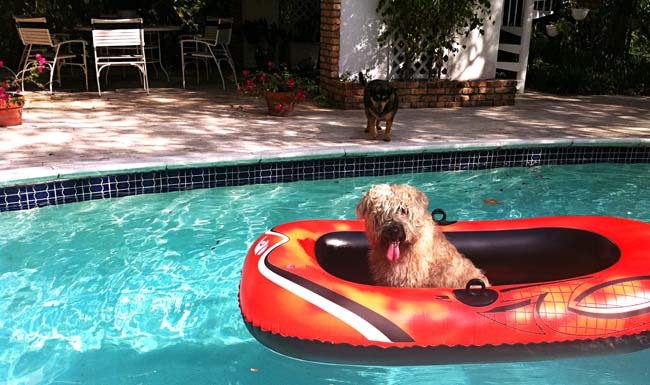 He gets very excited when summer rolls around and he can finally use the pool. But he does not believe that the water is warm enough, even in the middle of hotter than Hell, and so he likes to go by raft. His summer holiday consists of me getting into the water and pushing him around his rubber raft for hours... Fun for him, not so much for me. He loves the splash of the water and how it cools him down. A better solution for those humid hot days is to make some frozen lemon yogurt. It's easy, and the lightness of the chilled treat along with the citric kick is perfect for this time of year....Well, perfect for us down here year round. This is a simple recipe, that requires a little effort when grating the lemon rind. 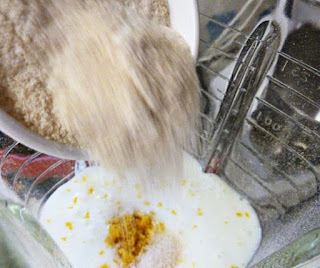 But for anyone who has been following this blog, you should be getting quite adept at constantly grating some kind of rind, whether it's key lime, orange, or lemon. First a word on acidity. One of my favorite writers and pastry chefs is David Lebovitz, who has an enormously funny book called The Sweet Life in Paris, part cookbook, part travelogue and totally engrossing and funny. Mr. Lebovitz suggests in an article appearing in the LA Times, that to get the tangy tartness found in commercial brand frozen yogurts, one use citric acid. I think that is a phenomenal idea, but not when it comes to frozen lemon yogurt. 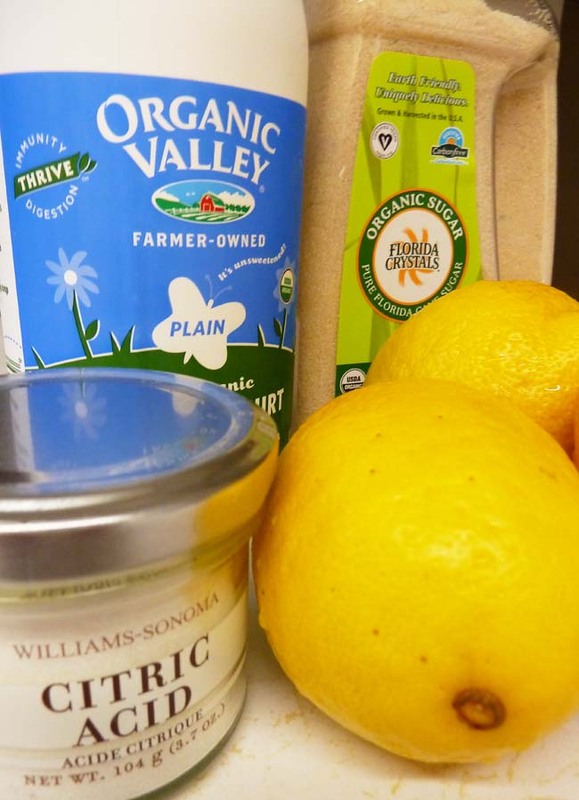 The acidity of the lemon juice is sufficient to give the yogurt that kick and any more would put it over the top. In fact, I use far less lemon juice in my recipe than I have seen in many others. I am from Florida. I love citrus, but I don't want anything too sour. For those that like SUPER tangy, I make some recommendations below. But taste the blend as you add the lemon juice or the citric acid to make sure you don't get past the point of no return. 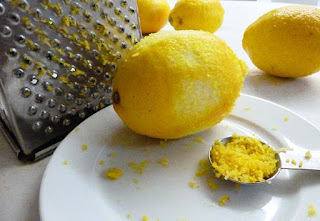 Begin by grating your lemon, careful not to eat into the pith, which is the bitter white part of the lemon. Set the grated lemon rind aside. Squeeze 1 tbls of juice and set aside. For me, a tablespoon is enough to give the frozen yogurt a tangy taste. However, some people like it more acidic. 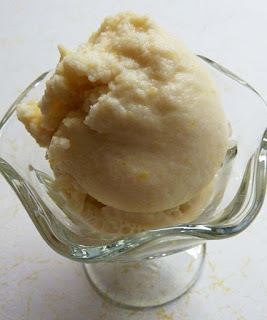 I personally would not add more than 1/4 cup of lemon juice to 2 cups of yogurt for this frozen treat. Otherwise, it can be downright sour. 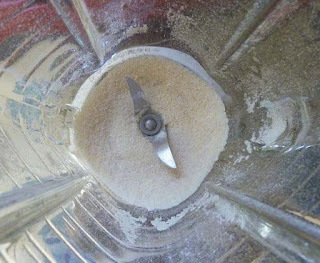 In a blender pour in 1/2 cup of sugar and grind it. After grinding, the sugar will be finer than in its course form and the grinding will make it easier to incorporate the sugar into the yogurt mix. 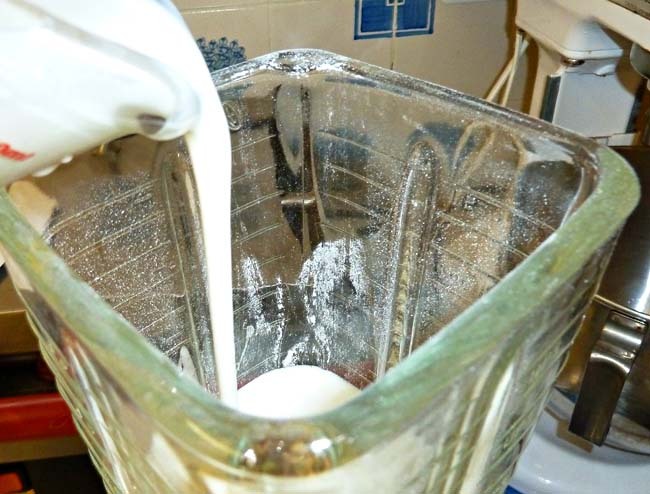 Pour 2 cups of the Organic Valley Live Lowfat Yogurt into the blender. Add the sugar, grated lemon rind, lemon juice, and vanilla extract and blend. Taste. If you find you like a tangier mix, you can add citric acid - but do this sparingly and very slowly to make sure it's not overdone. 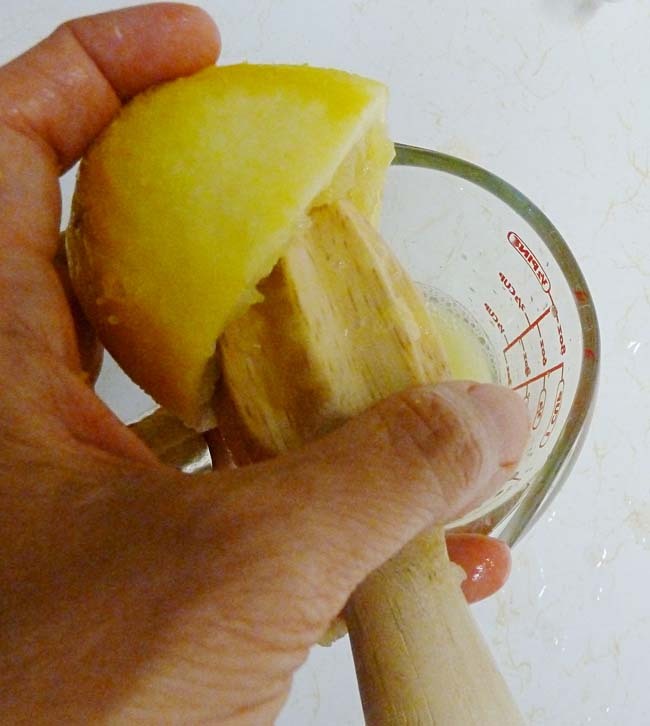 In the alternative, you can squeeze more lemon juice as well if you want a sharper taste. Since I do firmly believe that cooking is in great part an art form, you may want to modify the recipe to suit your particular style. 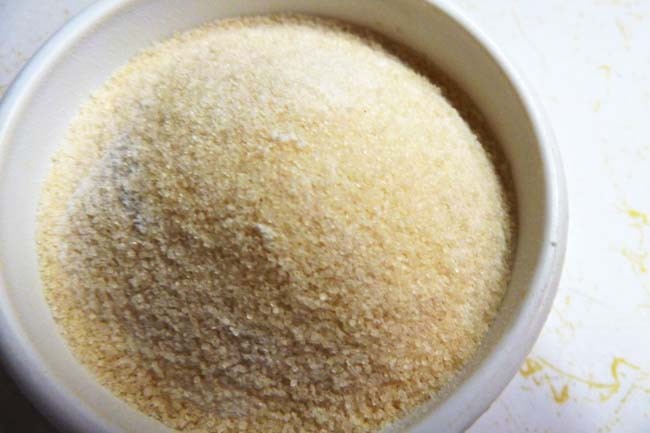 If you like it sweeter, you can increase the sugar. For a stronger taste of vanilla, you can add more extract, or use vanilla paste. I have a friend who makes a fantastic vanilla ice cream by adding a healthy portion of vanilla paste. Stick the blender in the fridge and let it chill for about 45 minutes. 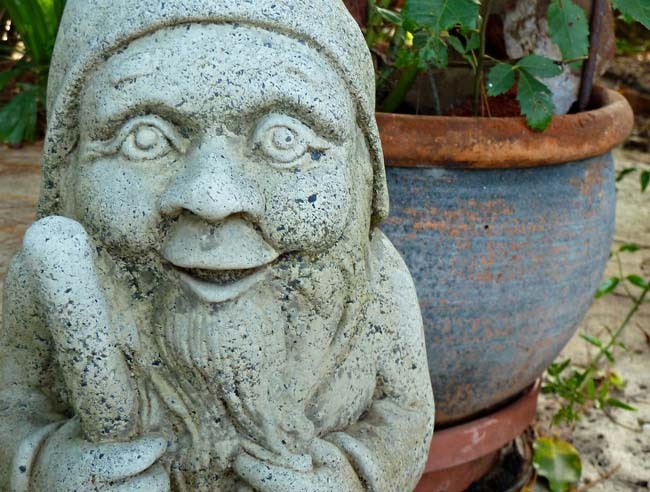 Go into your garden. Talk to the roving gnome. Explain your citric acid dilemma. Get his advice. Or if you're more pragmatic, skip the roving gnome, don't ask for any further opinions, and get your ice cream maker ready for the next step. 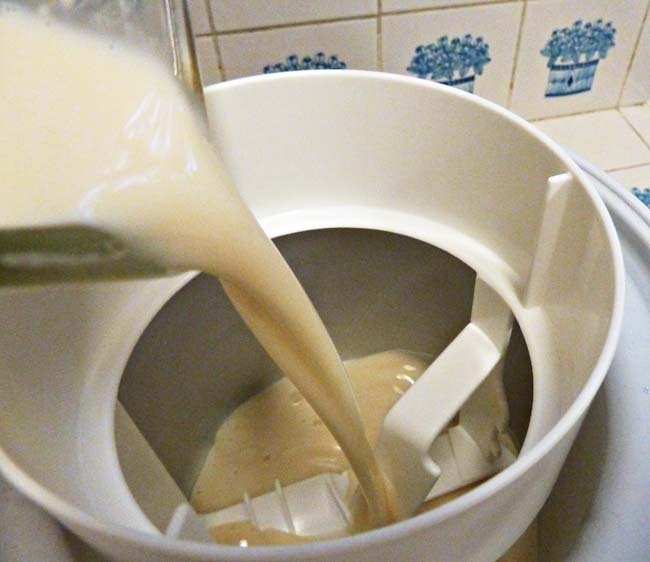 When the mixture has had time to chill, pour the mixture into the ice cream maker and churn. On mine, it's usually done in about twenty to thirty minutes. While you're waiting for that, go back outside and hang with the dog. This is Julian, my mother's dog. 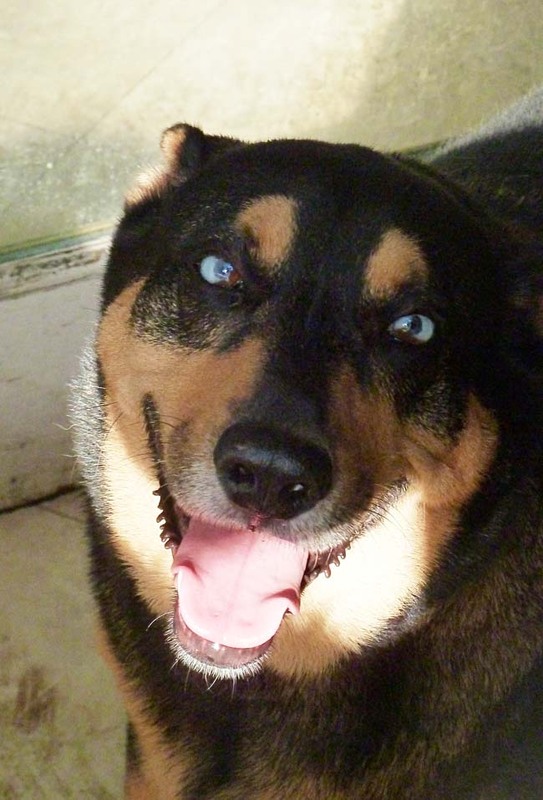 He is a mutt that had been abandoned on a street near where I live. I met him while I was running one day, certain that this unknown canine would make breakfast out of my leg. He didn't. I was so grateful that I began feeding him. We quickly became friends and one day he followed me home. Since I already had two dogs, my mother decided to keep him. He is a VERY big fan of the frozen lemon yogurt and as you can see from the smile on his face, he knows what's in the ice cream maker. When the frozen yogurt is done, scoop it out and transfer it to a container or serve. 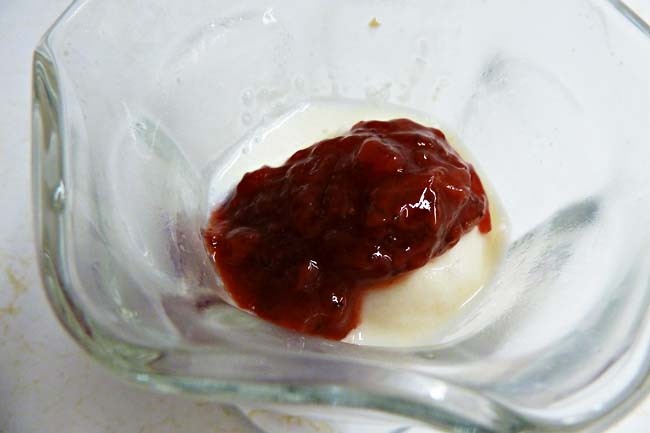 I love to add strawberry jam as a topping. 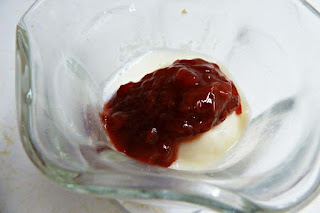 I love the juxtaposition of the sweetness of the jam with the tartness of the frozen lemon yogurt. Julian, you want to know? He likes his plain. He may not go on the raft with Winslow, but he cools off with a hearty helping of Miami Frozen Lemon Yogurt!